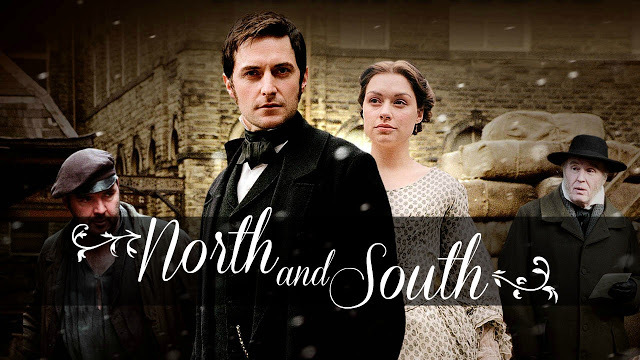 I know you all love North and South, but do you love the book, the BBC adaptation or both? Have you ever wondered about their differences? Today I’m receiving a very special guest at From Pemberley to Milton to explain some of the differences between Elizabeth Gaskell’s book and the BBC adaptation. Trudy Brasure has become a specialist in North and South and written 2 fan fiction books about it, one of them, In Consequence, is a favourite of mine and I will post the review in the upcoming weeks. I fell in love with the BBC’s adaptation of North and South first. And then, I slowly fell in love with Elizabeth Gaskell’s book as well. I’m a firm believer that you can love both, despite the inevitable discrepancies between the two forms of art. Here are some of the main differences I see between the film and the book from my perspective as one who reaches for her book when needing a dose of Thornton. Hands down, this is the most dramatic and damaging alteration the screenwriter makes from the original source. A stormy confrontation in a frenetic setting completely upends the book’s version in which an outwardly calm exchange takes place between the newly arrived Southern girl and the Milton master in a sitting room of a hotel. But I understand the reasons the film needed something more drastic to make Margaret’s disdain for Thornton more understandable for the modern audience. Margaret’s Victorian prejudice against a workingman like Thornton is too subtle for film. And the setting of a quiet room is not very exciting. However, I cringe at the violence we witness from Thornton. I’m convinced just grabbing Stephens and unceremoniously throwing him out of the mill would have been violent enough to shock Margaret’s sensibilities. In order to get the story rolling in Milton, the mini-series largely skips over the first 6 chapters of the book – chapters that let us get to know Margaret. Left on the cutting room floor is a significant part of what happened to our young heroine on a beautiful day in October when her entire world imploded. 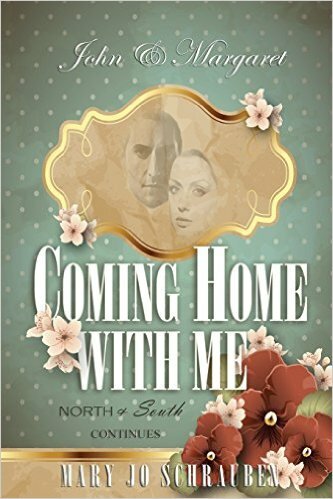 On the very same day Henry proposes – the day that marks the end of her childhood as she had known it — her father drops the bombshell of his decision to leave his position and move to Milton, which shatters all the comfort and security Margaret clings to in her concept of home. The emotional anguish Margaret endures and the responsibility she shoulders during her remaining days in Helstone is only hinted at in the film. And by the way, Mrs. Hale wasn’t happy in Helstone. Milton is just another reason to keep complaining – aided and abetted by the loyal Dixon. Although the lethal glares and verbal sparring between Henry and John at the Great Exhibition makes exquisite drama on film, such an exchange between the two suitors never took place in the book. The scene is a brilliant invention by the screenwriter, allowing the viewer to see the vivid contrast between Southern arrogance and sophistication and the Northern practical, earnest pride. Not only that, but the scene also works as a great device for showing us Margaret’s growing admiration for John and her new home — Milton. Throw in the historical setting of the Great Exhibition of 1851 — one of the England’s proudest moments, and this particular scene ranks as my favorite screenplay invention. The book has Margaret arguing with Thornton several times in the privacy of the Hales’ home. She isn’t so brazen as to chew out the host of an elegant dinner party in front of his own guests. But the public scorching does make good film drama, doesn’t it? Ann Latimer’s finishing school training would never have allowed her to do such an atrocious thing. And speaking of Ann…. There is no Ann Latimer in Gaskell’s book. Maybe this is why she doesn’t speak a word in the film. The mute but comely Ann serves her purpose well. She’s living proof that Hannah isn’t kidding when she boasts that her son is the catch of the town. Whenever Ann appears, we see Margaret’s uncomfortable reaction. And the viewer is also expected to notice that John has no real interest Ann Latimer, even though she is finishing-school-perfect and mother-approved. Nowhere does the book ever mention Hannah going to the mill. She wasn’t a dragon overseer of the business at all. It wasn’t her place to be physically involved in such work, although we know she was avidly interested in her son’s business and dealings. Margaret never steps foot in the mill either. 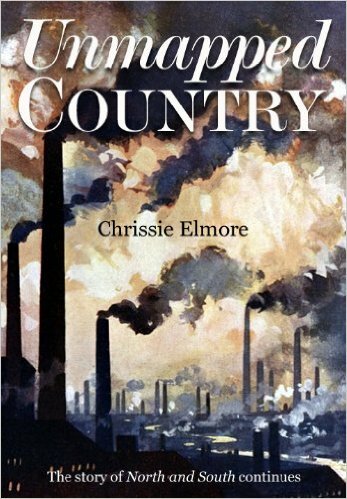 As a matter of fact, there aren’t really any scenes in the book that take place in the clanking, noisy cotton factory. Adding mill scenes was essential in the film adaptation. The viewer absolutely needed to see the vivid reality of the world John lived in day in and day out. The moment Margaret slides that door open to enter his realm is unforgettable filmmaking magic. You’ll be relieved to know that Mr. Bell doesn’t suggest matrimony to Margaret in the book. He does mention, however, that he would love to have Margaret as his caretaker or his charge. Mr. Bell’s character is used much the same in the book as in the film, he is perceptive of both Margaret’s value as a unique and strong woman and the mutual “something” going on between John and Margaret. Unfortunately, the wealthy godfather doesn’t sail off to sunny Argentina in the book. He dies. Of gout. Yes, he’s described as portly in the book. But portly or lithe, I love Mr. Bell for his wit, his keen eye, and his appreciation for Margaret and Thornton. The relationship between John and the man who should have been his father-in-law is especially endearing as described in the book. The film only hints at this special friendship that developed between teacher and pupil. We don’t see anything of how John is a rock of spiritual strength to Mr. Hale in his grief after Mrs. Hale dies. (Margaret notices this gentle and profound side of Mr. Thornton’s character.) I miss this deeper aspect of the relationship between the two most important men in Margaret’s life. Gaskell was a compassionate Unitarian, married to a Unitarian minister. She put Christian morality into all her books. Bessy speaks a lot about God and looks forward to a happier afterlife. Margaret reads from the Bible to Bessy. Mr. Hale and Higgins talk of God in their exchange. Margaret is a devout follower of the Church of England who worries about her father’s breach with the church, and her brother’s marriage to a Catholic. The Thorntons do not attend the Church of England. The harmonizing undertones of bringing characters of varying Christian faith together is mostly lost in the film. Glossing over the religious stuff is probably the modern way, but we lose something of the Victorian reality in skipping it. The ending of the BBC’s North and South is legendary. And rightfully so. If there were a hall of fame for screen kisses, then Richard Armitage would be venerated there for decades. I don’t think there’s anything to beat The Kiss. It’s pure romantic heaven to watch the tension and misunderstandings of 4 episodes melt into the blissful, tender connection on that station bench. But, as most people know, Margaret and John don’t meet at the train station in the book, and they certainly don’t seal their final understanding of each other’s feelings by a kiss in public – scandalous behavior! Gaskell’s ending has Thornton come to London, and the final pages place the lovers in a back drawing room – without Henry’s disapproving eyes on them! Yes, the film ending is breath-taking and brilliant. The range of emotions shown in a matter of moments, the symbolism of finding each other at a half-way point, the open-collar of a man usually tied and bound by his routine, the drama of making a final choice at the sound of the whistle – it all makes the scene exquisite and rich with meaning. And I haven’t even taken into account the acting! I could never condemn the ending, it’s a gift to the world of romantic period drama. It’s a vision etched in the mind and hearts of those fortunate enough to have watched it. Yet, I love the book ending, too. Line by line, it’s packed with more trembling passion than the film’s final scene. And then there is Thornton on his knees, a silent body-to-body embrace, a brief mutual apology, and some sweet playfulness that leads to a private kiss of unspecified duration. Sigh. Trudy Brasure is the author of A Heart for Milton, one of the most well-loved continuation stories based on Elizabeth Gaskell’s work. She is known throughout the worldwide community of avid North and South fans for her knowledge of and insights on Gaskell’s story and characters. 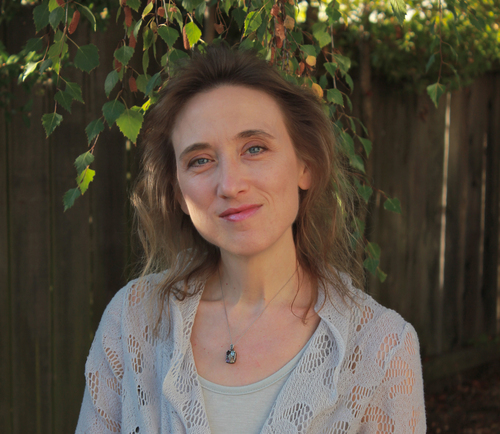 She has spent the past six years actively discussing and studying North and South and other Victorian literature. As a hopeless romantic and an fervent enthusiast for humanity’s progress, she loves almost nothing more than to engage in discussion about North and South. This book is a continuation of BBC’s adaption of North & South, not Elizabeth Gaskell’s book, this means that it starts right were the series left of: at the train station. I personally love BBC’s adaptation, and I adore the train station scene. As any North and South fan, I always wanted more! I wanted to know what happened during the train trip to Milton. This book gave me that! I loved reading the first pages as I was finally reading Margaret and John professing their love to each other and confessing everything that was in their souls. It was beautiful! However, after some pages it becomes too much and a bit boring. After a certain point I started to feel that there was no interesting plot, just characters continuously speaking of their feelings. But the book does come around and some twists are created. Mrs. Thornton becomes quite a villain making Margaret’s live a living hell, and we discover (spoiler alert) that she is the one who killed John’s father. Some readers might not like these twists but I did. The book is not one of my favourites due to several aspects on the plot, character development and writting and I can not say it gave true pleasuse to read it all the time, but some parts were appealing, and the first pages are really good. I love Elizabeth Gaskell’s North and South, and Unmapped Country was the first what if story I’ve read about it. I bought my kindle just so that could read this book (only available on kindle at the time) and I do not regret it. Unmapped Country creates an what if story starting with Margaret moving back to Milton after making her business proposition to Mr. Thornthon. The storyline is plausible and interesting, the characters are faithful to the ones Gaskell created and the author didn’t need to use sexual scenes to keep the love story appealing and to show the intensity of the feelings the characters had for one another. I believe Miss Gaskell would be proud of this book. I’ve read this book twice and the first time I read it I felt everything about it was perfect, I wouldn’t change a thing. The second time I read it, I felt a bit disappointed as I could not feel the same intensity I felt the first time, but it might have happen because it was no longer new to me and I had read some other fan fiction books of North and South by that time. I still hope the author writes more of these books! I can not get enough of John and Margareth.